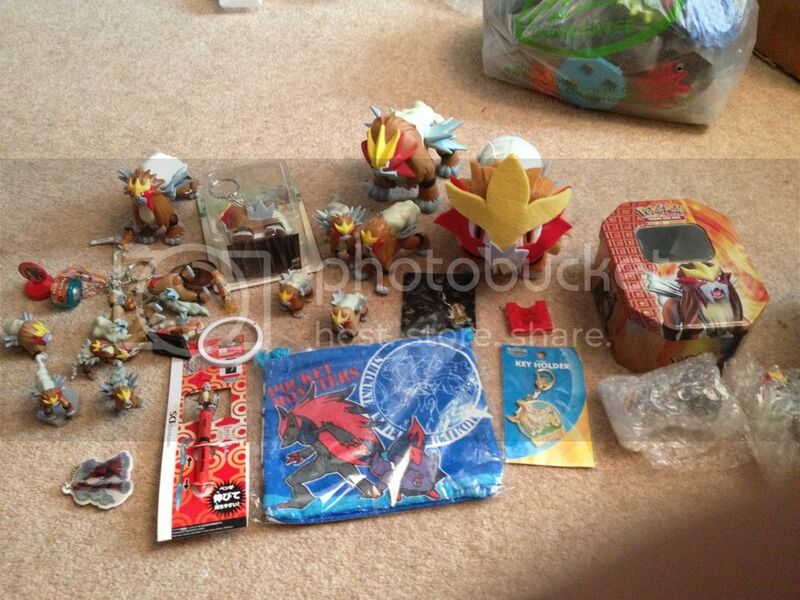 just a quick shoutout to let you know that ive put my entire Raikou and Entei lots up on ebay cause my dog recently had his toe removed which, cost alot of money -___- , so if anyone wants to GA them feel free. Ill include the links here for you. 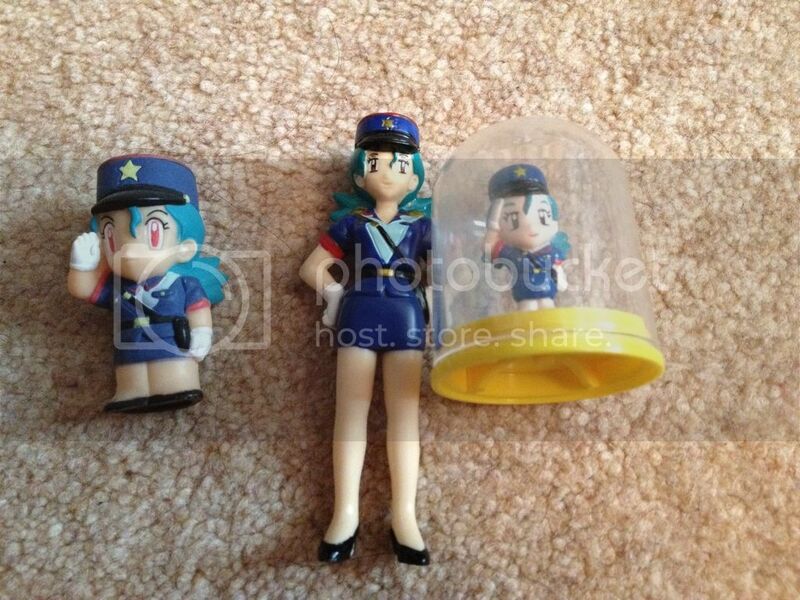 I also have an officer Jenny lot for sale too if anyone is interested. 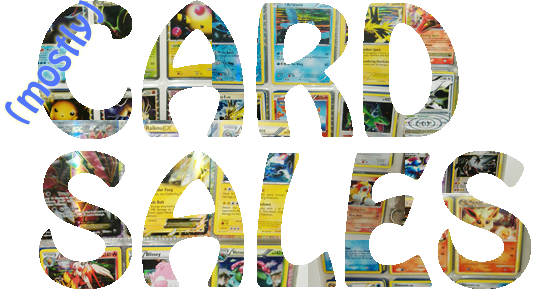 Over this weekend I will also be listing all my Entei, Suicune and Raikou cards. If there are any you were interested in then please feel free to give me a shout and I can sell the cards too you personally on here. Hey look down there. Ha. Please bid what you want to pay! We are supporting a fellow member, who is already offering this cheaper than its individual cost! Plus, if you only bid cheaply you will not win anything. Hey everybody! I just wanted to let everyone know that the items from my recent sales post should start rolling into US mailboxes today or Monday. For some reason about half the packages with Delivery confirmation sat in the post office since the 3rd and only shipped yesterday, because of the holiday I guess? But the rest shipped the 5th, so either way, keep a look out! I'm going to start leaving feedback for members now. If you'd like to leave me feedback, you can do that here! sssooooo. Uh. I know I probably won't be as fun as Gin, cause I'm a little awkward lol but.. come on in! 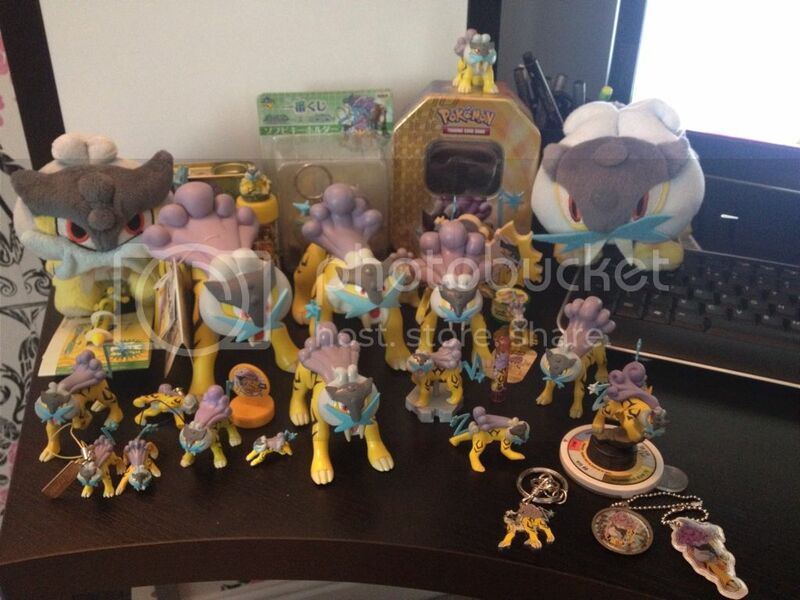 Hello my fellow pokemon collectors! I have one little question to ask you. I am in the process of making a crochet drifloon plush and I was wondering if anyone would be interested in buying him when he is completed. If I get a good response and people saying they might like to buy him, I'll post photos and details when I finish him which will hopefully be later today. Okay, that's all, thanks guys! Sooo... I was supposed to make this post almost a week ago but got interrupted with health problems. I'll tell about it inside the cut. I know we are supposed to keep our private life in our own journals, but this involves Pokemon so I hope it's ok :) I'll try to be brief. Trades, Sales update, Kids auction reminder! Most of Sabrina's Pokémon: Kadabra, Alakazam, Haunter, Gengar, Hypno, Slowpoke, Slowbro, Psyduck, Golduck, Venonat, and others. Anything in my sales post is available for trade, as well as many cards from the older sets (Base Set - Neo Genesis) that aren't listed. Today I won the Pikachu plush on the right for an amazing auction price of $20!! EEEK so it's been a while and I've started 2 new collections and basically gotten rid of another... Oh the winds of change. I'm also always looking for better ways to display my collection and when I found this shadowbox I had to have it! it's prefect! and keeps me from having to dust all the time! #1) Quagsire Metal Figure! (keshimon) any color. 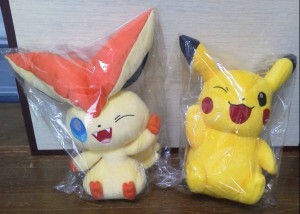 Plushies Group Buy Payment 1~! Please wait for all threads to go up!! Bids are up so get them in. So I went to the Alderwood mall up here in Seattle--and the Pokemon center was gone! It was there last weekend, I'm sure of it, because I walked past it on the way out of the AG store, and it was still on the map, but the center part was GONE. Anyone have any clue what's up? 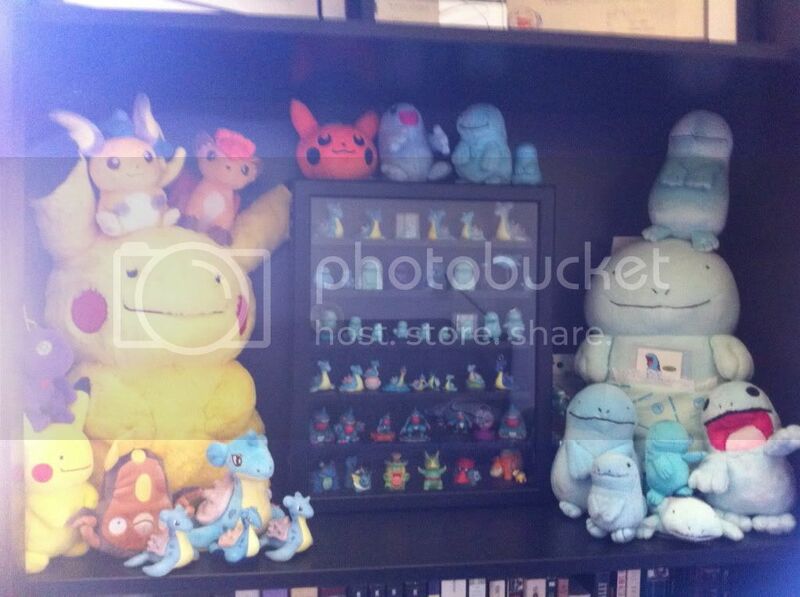 Vulpix Auctions ending tomorrow at 8 pm EST! Reminder! 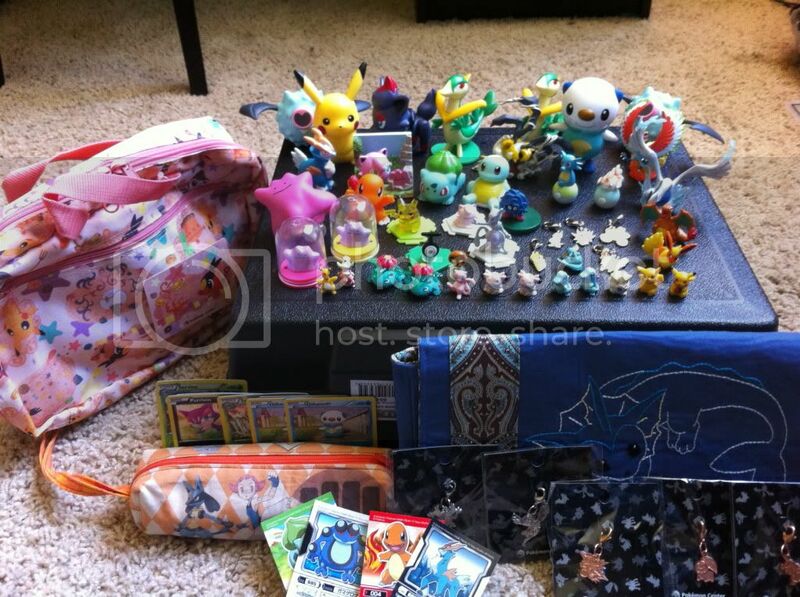 That the Vulpix applause and Mint KFC Vukpix in bag auction ends tomorrow!!!! what is this I don't even.. Went to a Japanese store in the city today, only to find something ironic and that I never knew existed. Also do any of you have pictures the below of it open? 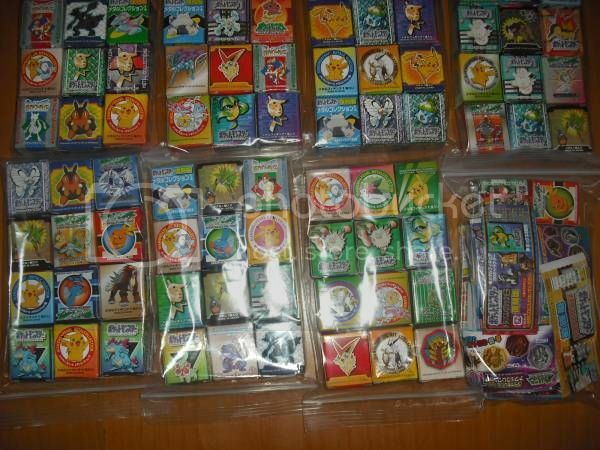 I'm curious to know how big the stickers are and how many you get in a package. I might order some because of all the awesome. Consider this a mini GET post. xD Since I certainly bought plenty. But I'm going to make an actual, full fledged GET once I get back stateside in August, and then I can combine it with a collection post or some such. I've got a ton of packages from the comm waiting for me back home, so that will definitely be exciting. Oh, there's also a tiny photostory. I'm hosting another Group Buy... this one is another BIN from eBay and the seller is shipping from Japan. We're going to pay the Extra $10 for air-mail shipping on this, because "free" boat-mail is ridiculous. I will need everyone to pay ASAP because I can't float this much money for a long time. So I will BIN the auction when the claims are all done, pay eBay, then give everyone 48 hours to pay me. There will be 2 payments, the eBay lot then shipping from me to you. Feel free to claim as many plush as you can afford, I will ship worldwide. I ship from Va, Usa. 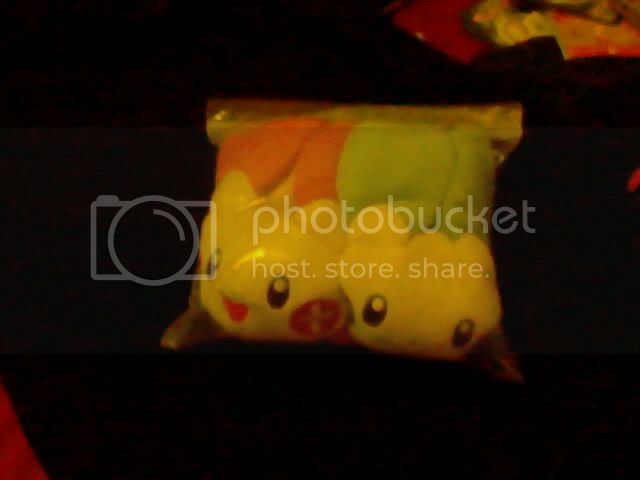 We were missing participants for 5 plush and it has ended. Sorry!